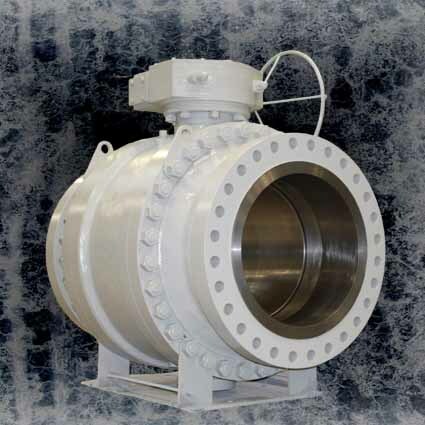 BAF Ball valves TM are designed to meet various applications in the chemical, petrochemical, upstream storage and power industries. BAF design covers plate as well as pin trunnion valves of top entry or side entry construction towards the latest international standards and can be supplied in a large variety to body and trim materials. Packing seal arrangements meet the latest standards for fugitive emission making our valves suitable for the most severe applications. As standard BAF offers a blow out proof and anti static stem design.